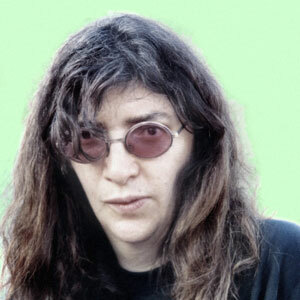 Joey Ramone Biography, Discography, Music News on 100 XR - The Net's #1 Rock Station!!! Jeffrey Ross Hyman was born in Queens, New York USA, on May 19, 1951. He and his future bandmates attended Forest Hills High School. During his youth, he was by general accounts something of an outcast. His parents divorced in the early '60s; his mother encouraged an interest in music in both him and his younger brother. He took up drums at the age of	thirteen, playing throughout his teen years. He co-founded Ramones in 1974 with friends John Cummings and Douglas Colvin, upon which point all three adopted Ramone as their stage surname. 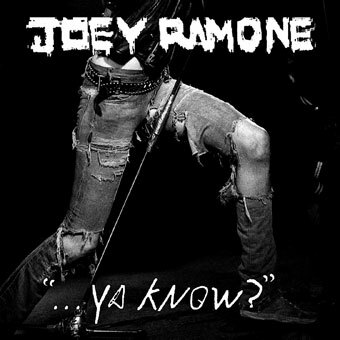 When Joey Ramone became the lead singer, Tommy Erdelyi take over on drums. Although their first LP, sold poorly, it is now commonly acknowledged as a landmark album and became an underground favorite. Ramones fertilized the Punk-Rock scene first in their hometown of New York City, then in England and finally all over the globe. Ramones disbanded in 1996. 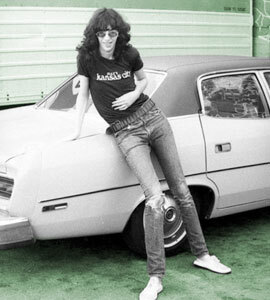 Sadly Joey Ramone died on April 15, 2001, of a lymphoma in New York City after a seven year battle with the disease, just prior to the final mixing sessions of his first solo album, "Don't Worry About Me". The CD was released in February 2002 and the opening track, "What A Wonderful World", his cover of the head-up-and-smile classic, arrived with a cold slap of invigoration and emotional veracity. The disc reached the #109 position on The Billboard Top 200 chart. May 2012 saw the release of "...Ya Know? ", the second posthumous solo album from the former Ramones frontman. It's a riveting collection of previously unheard songs that embody Joey's trademark intensity, wit and infectious hooksmanship. It made a brief chart appearance on The Billboard 200 with a peak of #180.